I’m a bit all or nothing when it comes to nails. Either they’re completely bare or I’ve taken the time to do multi-step manicure — there is no in between. And I’ll admit, most of the time my nails have nothing on them, because I just don’t have the time to paint them properly. I don’t really see the point in making the effort when the polish will be chipped in a few days. 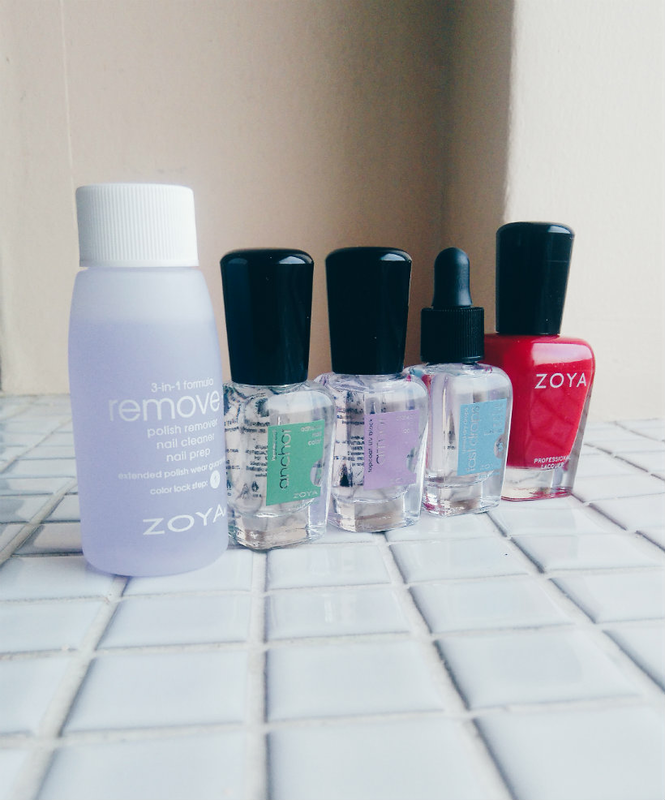 So when Love Lula gave me the opportunity to try Zoya’s Mini Colour Lock System*, I was curious. 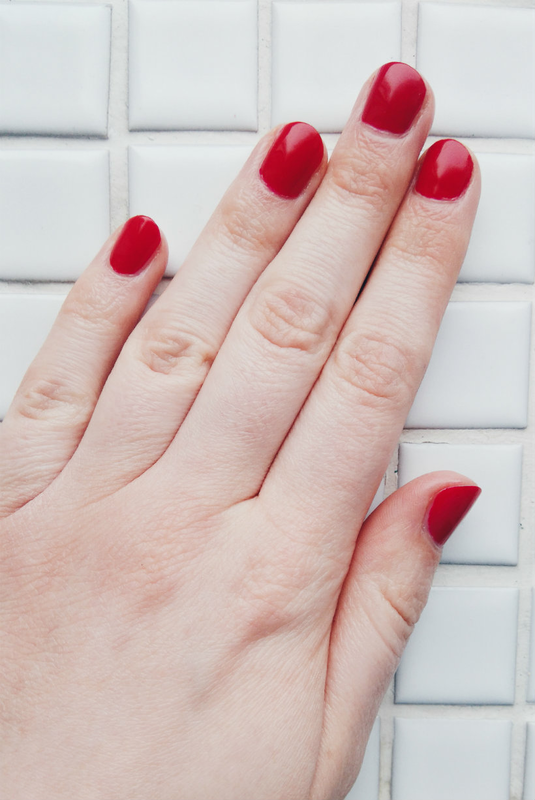 It claims to make your manicure last for fourteen whole days — quite the promise! No manicure is complete without some colour, so I went for Carmen Nail Polish*, a true red. You start by preparing your nails with the remover, which doubles up as a cleaner. It has the traditional chemical smell we all know (and don’t love) but there’s a different scent in there too, one I can’t quite place. This step is followed by a layer of Anchor, the base coat, which is clear and very quick to dry. So far, so good. Once the base coat is dry you can move on to my favourite part — colour! Well, it’s my favourite part when it goes well, at least, and that doesn’t always happen when you don’t have a steady hand (guilty). Carmen has a thin consistency but it isn’t runny, which makes it easy to build up the colour and prevents the polish going gloopy on the nail. The brush isn’t as wide as I would normally like but three stripes — one in the middle and one each side — cover the nail and on the whole, painting was easy. The colour was opaque with just one coat but I went for two for maximum impact. And now, the big question… did my manicure last for fourteen days? No, it was more like seven, but that’s still much longer than my normal two or three, so I was happy, plus the shine stays put, too. The Mini Colour Lock System costs £26, and while I’m not sure I’d pay that myself, being a fair-weather nail-painter, if you’re someone who does their nails frequently and is looking for a little more longevity, then this could be a good cruelty-free option — especially since all the products can be used with any shades you already own. How do you feel about home manicures? What’s your favourite shade? Let me know in the comments!